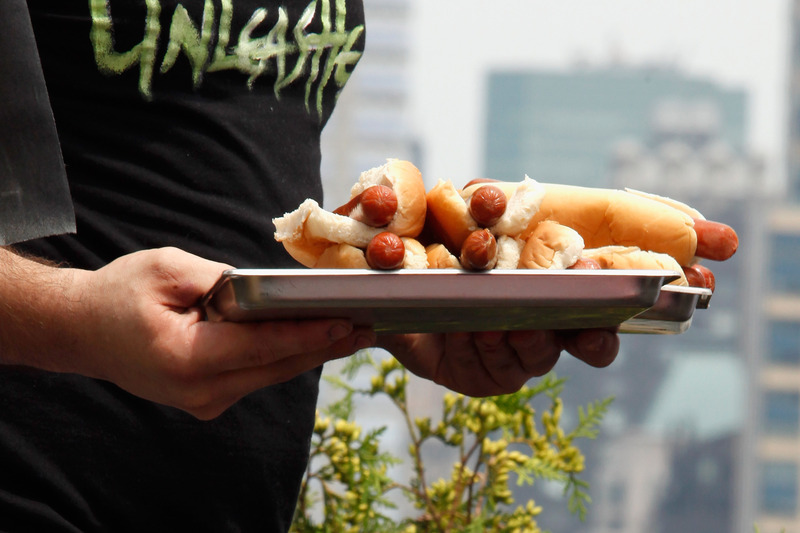 Chicago's Hot Dog University Is Taking Applications, Just In Time For National Hot Dog Day! Here's your excitement for the day: July 23 is National Hot Dog Day, and we've got great news for burgeoning frank flippers! Have you been dreaming about opening your very own hot dog cart but aren't sure how to get started? Vienna Beef and hot dog connoisseur Mark Reitman are here to show you the ins and outs of the business with Hot Dog University, "the nation's college of encased beef knowledge." And to think. All I have is a bachelor's degree. The two-day course will cost you $699, and will teach you the set up an day-to-day operations of owning your own hot dog stand. Your course curriculum includes the nuts and bolts of licensing and permits you need for your own stand, hands-on experience with cart set up and vending, and a tasting panel of Vienna Beef hotdogs, which sounds like the absolute best class ever. The Chicago-based HDU was founded by hot-dog lover Reitman in 2006, who started selling hot dogs when he was 8-years old and continued to do it as a side gig throughout his career before opening up his own stand. The Ph.D "Professor of Hot Dogs" partnered with Vienna Beef in 2009 and began offering classes on Mondays and Tuesdays out of the company's Chicago factory. The school now has satellite locations in California and Arizona. Over at Serious Eats, HDU graduate John Carruthers initially thought his pedigree from the university would make for an interesting line to throw out. But as he detailed his experience, it was clear that HDU isn't a novelty course. Carruthers counts himself as a happy graduate, calling Reitman the "poet laureate of cured sausages." Frankly, we're pretty hungry now.